THIS VEHICLE IS BEING SOLD AS TRADED. CASH ONLY. Rather than tie up our shop on this vehicle, or sending it to Auction for other dealers to mark up, we make it available at rock-bottom pricing to you. You can even arrange to take the vehicle to your own mechanic to have it checked out. This vehicle comes with no warranty, no state emissions nor inspection. ONE OWNER!!! ALL WHEEL DRIVE! As evidenced by our transparent, no hassle pricing, Kelly Blue Book Instant Cash Offer Trade Process, Garff Care, Ken Garff Honda Downtown puts you first in ALL that we do...All PreOwned Vehicles are: Safety Inspected - 120 Point Professionally Detailed Include a Free Vehicle History Report Ready for Immediate Delivery. ALL WHEEL DRIVE!!! CLEAN CARFAX HISTORY! HEATED LEATHER SEATS, SUNROOF, ADAPTIVE CRUISE CONTROL, 20 WHEELS, BACK UP CAMERA, AND MORE! 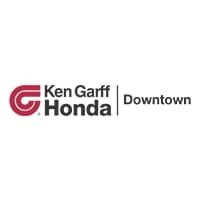 As evidenced by our transparent, no hassle pricing, Kelly Blue Book Instant Cash Offer Trade Process, Garff Care, Ken Garff Honda Downtown puts you first in ALL that we do...All PreOwned Vehicles are: Safety Inspected - 120 Point Professionally Detailed Include a Free Vehicle History Report Ready for Immediate Delivery.